To satisfy my wanderlust and to take a break after 3 intensive weeks of studying for my fourth year finals, I booked a super last minute trip to Indonesia. I was initially slightly apprehensive as it was my first solo trip into a country that is not as developed as Singapore, but it turned out to be a really great experience! 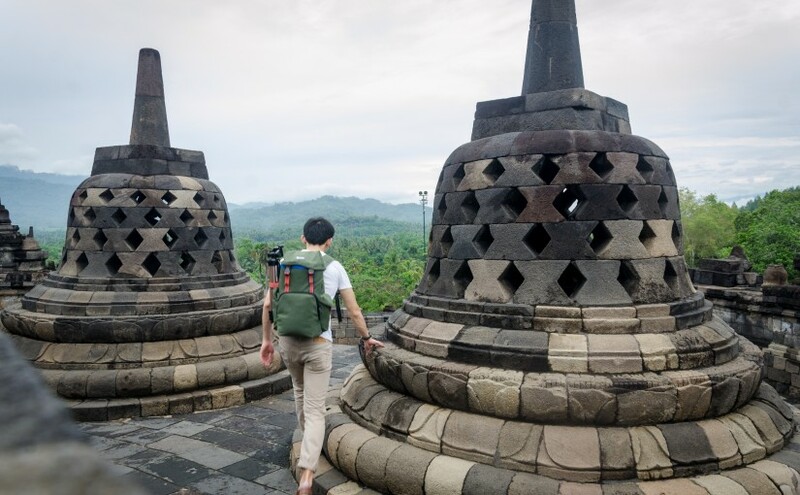 I wanted to see the sunrise in Borobudur, so I actually splurged to stay at the Manohara hotel, which is located on the temple grounds itself. However, it being the rainy season in Southeast Asia, the sky was overcast and there wasn’t much sun except for one very brief moment when the sun peeked through. That being said, it was nice to explore the temple grounds early in the morning before the crowds arrived. Alternatively, if you are on a budget, you can stay in a nearby homestay/hotel outside of the temple grounds and arrange for a driver to pick you up early in the morning to send you to Manohara hotel. You can purchase tickets for the sunrise tour at the reception. I only spent half a day in the city of Yogyakarta, checking out some cafes and exploring the city by foot. While the touts can be annoying sometimes, they are not persistent and the locals there are generally friendly and helpful. For those with more time to spare, a local actually recommended staying in Yogyakarta for at least 3 days. There’s a wrath of activities to do around the city – for inspiration, check out this article on The Smart Local. Mt. Bromo features on the covers of many Indonesia travel guides, and it’s easy to see why. It was actually actively erupting when I was there (hence the amazing trail of volcanic ash) and we were prohibited from going down to the crater itself. Still, it didn’t stop the throngs of visitors, both foreign and local. Another gem in the Bromo Tengger Semeru National Park is the Madakaripura falls, which is a series of 4 cascades – the tallest being over 200m in height (the guide told me 500m, but I guessed he was exaggerating). In order to reach the final and tallest cascade, you would have to trek under the other 3 waterfalls and wade through the river – making for a very exciting (and wet) experience! The most interesting experience of the entire trip has to be the journey from Yogyakarta to Mt. Bromo. As I was traveling alone, I did not want to spend money on taking an organized tour to Mt. Bromo. As such, I had to navigate myself through Indonesia’s public transportation system with zero command of Bahasa Indonesia. The journey started with me almost missing my train from Yogyakarta to Surabaya. On reaching Surabaya, I had to fight my way through touts to find a cab driver that was willing to take me to the bus terminal without ripping me off (i.e using a meter). The next part of the trip involved taking a bus from Surabaya to Probolinggo, a small city in Eastern Java that is often used as the launchpad to Mt. Bromo. I was quite nervous about this part as I have read about locals who will try to trick tourists into getting off the bus early so that they will be stuck and have no choice but to pay for an expensive tour package. I had to go to the toilet and on exiting the toilet, I saw a bus with a sign for Probolinggo and so I made a run for it. 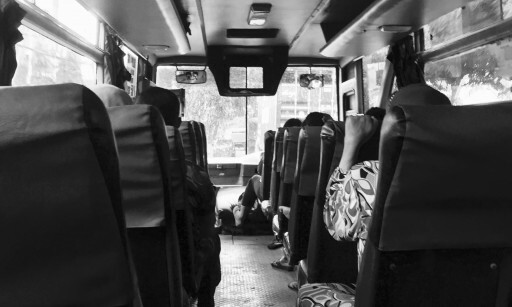 When I got on, I realized it was a non-air conditioned bus (“Ekonomis”) and I was the only foreigner on board. The bus ride was probably the most authentic Indonesian experience I had – I was sitting in front of a chain smoker who smoked at least 20 cigarettes on the 4 hour bus ride; the bus was stopping every few minutes to let on snack vendors; performers will board the bus and screech Indonesian songs in hope for tips – I didn’t think it gets any more Indonesian than this. Luckily for me, no one bothered me and I reached Probolinggo without any trouble. Then it started raining cats and dogs. In the end, I gave in and hired a private driver to bring me up to Mt. Bromo from Probolinggo as I had to get to my accommodation up on the mountain before sundown. But still, I was rather proud of myself for traveling almost 500km across Java using only public transportation. I really enjoyed my experience in Indonesia. It wasn’t the most comfortable or relaxing trip (e.g. waking up at 2AM to hike to catch the sunrise over Mt. Bromo), but I felt that this trip was a very enriching experience.